ระบุวันที่และเลือกโรงแรมและที่พักอื่น ๆ จาก 158 แห่ง! Copper and Lumber Store Hotel มีทิวทัศน์ English Harbour การตกแต่งสไตล์คลาสสิก และบริการอินเทอร์เน็ตไร้สาย (Wi-Fi) ฟรีทั่วบริเวณ โรงแรมแห่งนี้ตั้งอยู่ห่างจาก Galeon Beach และ Pigeon Point Beach เพียง... atmospheric place to stay. very spacious rooms. good breakfast and very helpful staff. 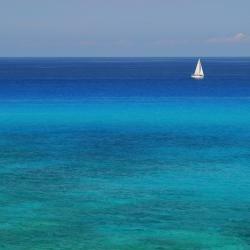 Carlisle Bay ตั้งอยู่บน Carlisle Bay มีหาดส่วนตัว สระว่ายน้ำกลางแจ้ง ศูนย์ออกกำลังกายที่มีการฝึกอบรมส่วนบุคคลและสปา สวนเขตร้อน และอินเทอร์เน็ตไร้สาย (Wi-Fi) ฟรี ห้องพักปรับอากาศมีวิวสวนหรือวิวมหาสมุทร... A fabulous retreat. Most friendly and attentive staff. 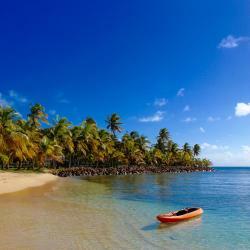 Curtain Bluff - All Inclusive ตั้งอยู่ริมชายหาดใน Carlisle Bay มีบาร์ ห้องอาหาร กิจกรรมทางน้ำเพื่อความเพลิดเพลินของผู้เข้าพัก อินเทอร์เน็ตไร้สาย (Wi-Fi) ฟรีในพื้นที่ส่วนกลาง และที่จอดรถส่วนตัว... Everything. Amazing place and staff.. I will be back. The Inn at English Harbour ตั้งอยู่ติดกับ Deep Bay Beach และตั้งอยู่ห่างจากตัวเมือง Shirley Hights เป็นระยะทางเพียง 2 กิโลเมตร โรงแรมแห่งนี้ประกอบด้วยสระว่ายน้ำกลางแจ้ง มีอินเทอร์เน็ตไร้สาย (Wi-Fi)... The setting for this hotel is unrivalled. The rooms are beautiful, all have lovely open aspects. The staff are attentive but not pushy, the food is great both at lunchtime and in the evening. 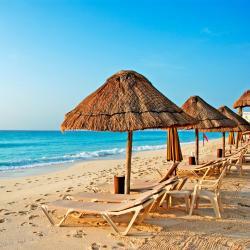 Nice touches such as putting your towel on a lounger on the beach and bringing iced water to you . Admiral's Inn and Gunpowder Suites ตั้งอยู่ใน Dockyard ของ Nelson ใน English Harbour ห่างจาก Shirley Heights 3 กิโลเมตร โรงแรมบูติกทางประวัติศาสตร์แห่งนี้มีสวนกว้างขวาง... Beautiful and unusual location. Small room, but location, staff and cleanliness made for a great stay, also great modern en-suite. Close to historic environment. ที่พักริมทะเลแห่งนี้มีสปาและศูนย์สุขภาพพร้อมบริการนวด รีสอร์ทเฉพาะผู้ใหญ่มีสระว่ายน้ำกลางแจ้ง อินเทอร์เน็ตไร้สาย (WiFi) ฟรี และที่จอดรถฟรี ห้องพักปรับอากาศที่ Ocean Point Resort & Spa... 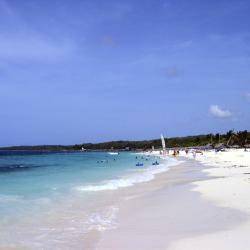 The resort is very clean well kept, the food excellent and great value if all inclusive. The staff excellent. Set on the beachfront of Turners Beach, this boutique hotel offers panoramic views of the Caribbean Sea and of Monsterrat Island. 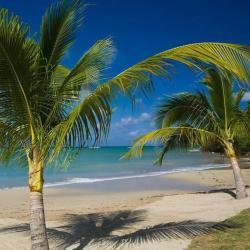 Keyonna Beach All Inclusive features a restaurant and a bar. Meal is always very tasty and prepared with great care. The room was also well kept. But no iron so we had to ask and one was provided.the staff were excellent curtious and professional. I always look forward to staying at Keyona. So sad to have left before breakfast because it is amazing. Until April 2019. Looking forward to coming back each time. Gunpowder House & Suites in English Harbour Town has a private beach area and an outdoor swimming pool. The 5-star hotel has air-conditioned rooms with a private bathroom and free WiFi. The little ferry crossing each morning to breakfast At Pillars was wonderful. Shama, Carol and the At Boom were wonderful hosts. Our daughter Sophia was made to feel super special everyday we stayed by the pool @ Boom. Views are breathtaking and the chilled Relaxed vibe a welcomed break from city life. 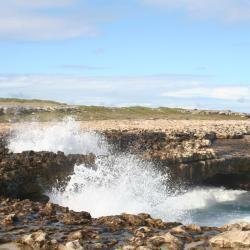 Vine Cottages offers accommodation in English Harbour Town. The hotel has a year-round outdoor pool and views of the sea. Each room at this hotel is air conditioned and has a flat-screen TV. This is my second time here. As per usual, great service! let e tell you about those beds... so comfortable! 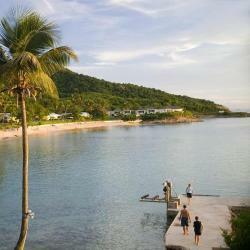 Offering an outdoor swimming pool and a private beach area, South Point Antigua is located in English Harbour Town. Free Wi-Fi access is available in all areas. 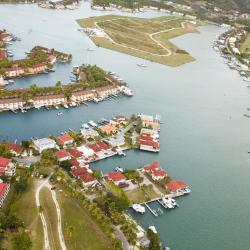 Offering a beautiful beachside setting, Starfish Jolly Beach Resort - All Inclusive offers views of Lignum Vitea Bay. Set in gardens, it features 2 outdoor swimming pools, a spa and a hot tub. The location was perfect with a stunning beach and beautifully maintained grounds. The service from the staff was excellent. They did everything possible to make you comfortable and happy and ensured you were having a food time at their resort. There was the right mix of privacy and opportunities to socialize. The entertainment was varied and always fun. The food was very good and plentiful, so were the drinks and the bars are very conveniently located around the resort. The manager made himself available and accessible to guest and he had a very warm and welcoming personality which was also present among all his staff. Special mention must be made of Deon and Nyla from the restaurant who gave really excellent service. Miss Lisa and Miss Sharon who always made us laugh and Lafeisha with her ever present smile. Not to forget the personable Tiffany on the grill. Then at the bar was Miss Clovis, who always had a sassy joke for us and the "singer" Aldwyn, aka Bailey, who serenaded guests with reggae and soca songs while he served. 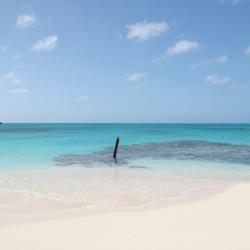 Jolly Beach was just a wonderful place to truly relax in beautiful surroundings and just enjoy the laid back atmosphere. We will return, this time with the family. 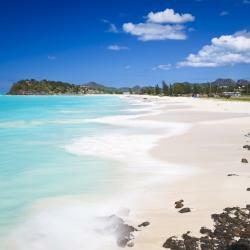 Royalton Antigua Resort and Spa - All Inclusive in Five Islands Village has 5-star accommodation with a casino. The property features a bar, as well as a restaurant serving Grill Bbq cuisine. 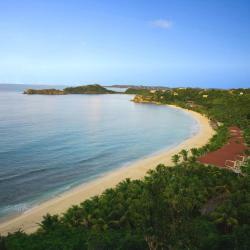 Hodges Bay Resort & Spa offers accommodation in Saint John’s. Guests can enjoy the on-site bar. Each room at this hotel is air conditioned and is fitted with a TV. Rooms have a private bathroom. Featuring free WiFi throughout the property, The Moxy offers accommodation in English Harbour. Guests can enjoy the on-site bar. You will find a kettle in the room. Every room has a private bathroom. Great location in English Harbour, close to lots of restaurants and bars. Clean room, nice bar and friendly staff. Very reasonably priced. This stylish adults-only hotel is located just 1.5 km from the ocean, in St. Johns. The Villas at Sunset Lane Boutique B&B offers an outdoor swimming pool, gym and free Wi-Fi.